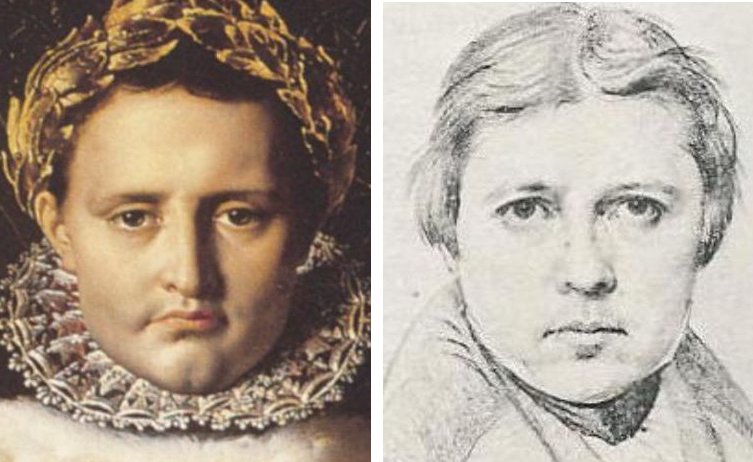 I have already shown how Ingres fused his features with Napoleon's in an early portrait from 1806. 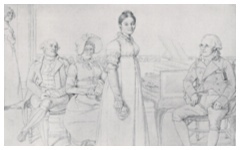 In portraying himself as an emperor, Ingres illustrates the moment in his mind when the image itself was conceived, its mastery so great that the artist himself is enthroned. 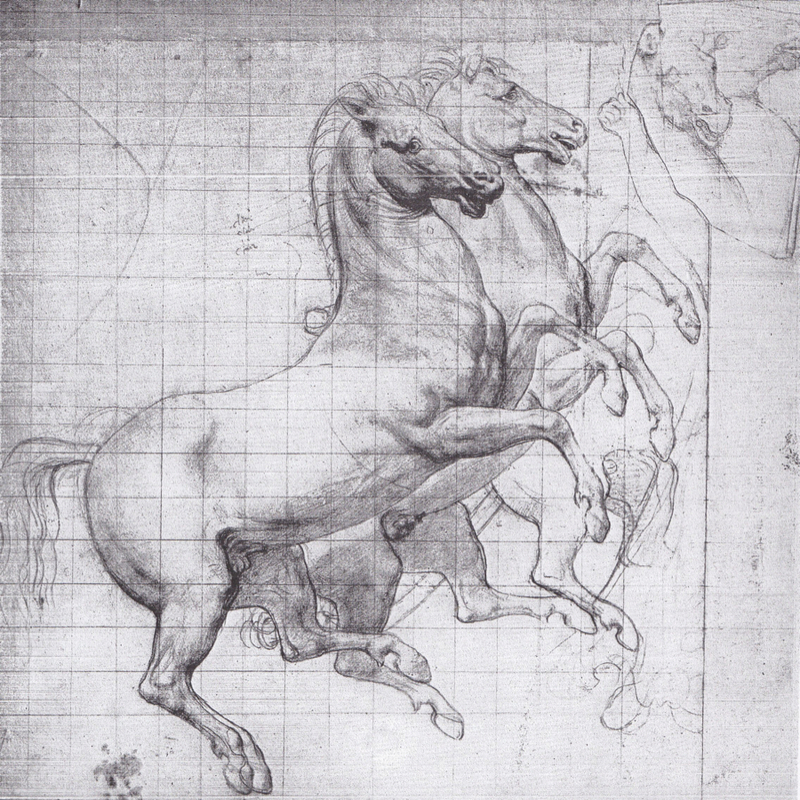 In a sketch for a much later portrayal of the Emperor, Ingres sketched out two horses intended to draw Napoleon's chariot through the sky in a mythical apotheosis. 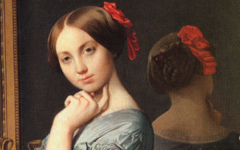 Ingres' here imagines himself as the rear horse, their eyelids sleepily similar, the round bit to the left of the horse's mouth echoing the large dark mole to the left of Ingres' jaw. 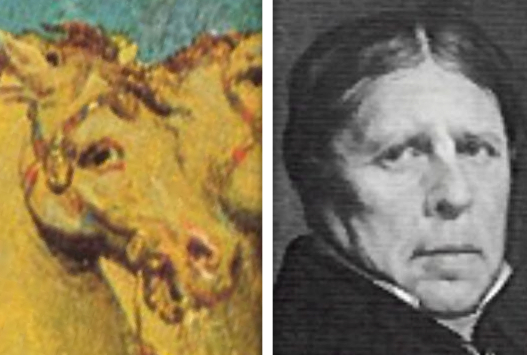 In the finished painting, however, it is the near horse not the far one which now looks like Ingres', again with the circular bit. 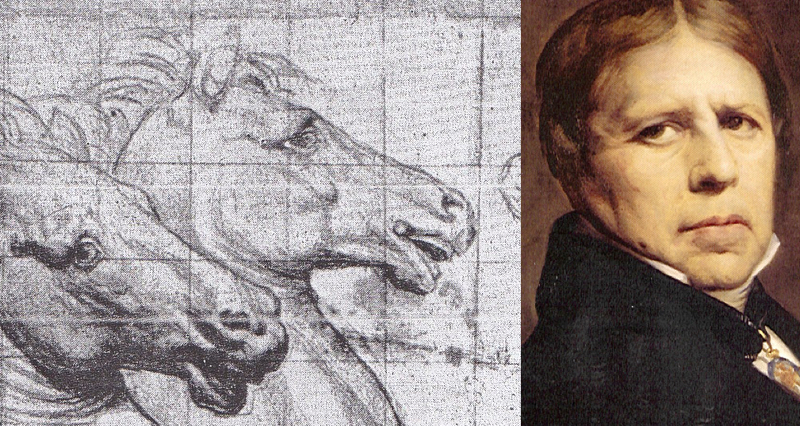 Napoleon's apotheosis, these references in the horse suggest, is on the hidden level the artist's own. Original Publication Date on EPPH: 01 Jun 2011. © Simon Abrahams. Articles on this site are the copyright of Simon Abrahams. To use copyrighted material in print or other media for purposes beyond 'fair use', you must obtain permission from the copyright owner. Websites may link to this page without permission (please do) but may not reproduce the material on their own site without crediting Simon Abrahams and EPPH.